Pyramids formed on a carnelian plates are beautifully cut and polished. Carnelian stone enhances your concentration power and boosts your energy. Use Carnelian 54 pyramids cut plate with other stones, to boost their energy. 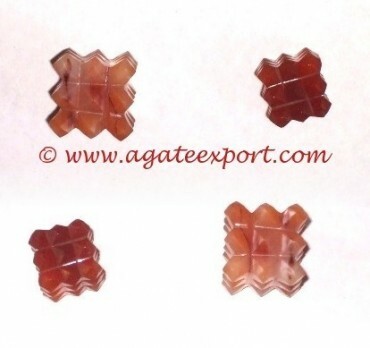 Order now on Agate Export.